Arsenal have set sights on AS Monaco’s central defensive midfielder Geoffrey Kondogbia to solve their midfield conundrum in the summer, reports Tutto Mercato Web. The 21 year old youngster has featured in 25 appearances for the French side and it is believed that Arsene Wenger is willing to add the player on the long list of his French acquisitions at Arsenal. Kondogbia has been sought as a long term replacement for the ageing Mikel Arteta, the Spaniard who has had a disappointing season for the Gunners and is believed by many as not being a top four player. Arsenal have also been linked with Bayer Leverkusen’s Lars Bender who is set to cost over €22m. 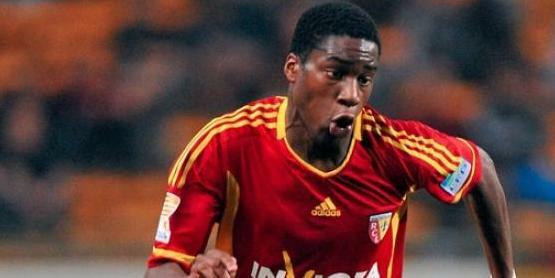 Kondogbia would be a much cheaper alternative with his price quoted to be €16m by Transfermarkt. The 21 year old would be the perfect fit for Arsenal’s passing game as he rarely gives away the ball thanks to his wide passing range and breaks down opposition attacks with great aplomb and tenacious mentality. Moreover, Kondogbia’s dribbling is one of his prized assets, something which is unusual for a holding midfielder. Wenger has been known to unearth gems from France and if the Gunners are to add Kondogbia among their ranks in the summer, make no mistake, it would be yet another major transfer coup by the former Economics professor.